After a performance of his Music in 12 Parts, the acclaimed composer reported hearing nuances he hadn’t heard before thanks to DPA’s d:vote™ Instrument Microphones. 1990s rave culture, the noise in our heads and the things we can learn from silence are among the influences that recently inspired Front of House sound engineer Dan Bora to re-think his approach to miking a performance by the internationally acclaimed Philip Glass Ensemble (PGE). With PGE set to perform at the Click Festival in Elsinore, Denmark, Bora decided to ’flip the script’ to give the festival audience a new way of hearing Glass’s ground-breaking work. Part of this process involved miking the Ensemble’s three woodwind players (doubling on piccolo, flutes and saxophones) with d:vote™ Instrument Microphones rather than relying on small diaphragm condenser microphones on stands. The genesis for these changes came last December when PGE played a rare show in a warehouse festival in the USA. Along with die-hard PGE fans, the concert also attracted a new generation of listeners, many of whom weren’t even born when some of Philip Glass’s music was written. However, playing the kind of venues younger audiences frequent, in particular festivals, presented technical challenges that PGE wouldn’t normally encounter in places like Carnegie Hall in New York, the Sydney Opera House and London’s Queen Elizabeth Hall. 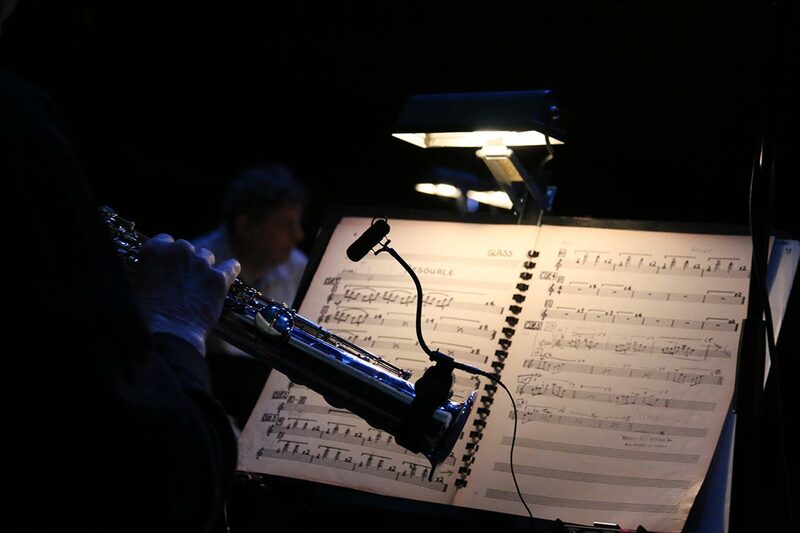 The opportunity to try something new came at Click where PGE was scheduled to perform Music in 12 Parts, a piece that Glass wrote for his Ensemble in the early 1970’s. After some research and testing, Bora put together a new set of tools consisting of Digico SD boards, Shure 535 earpieces and d:vote™ 4099 Instrument Microphones on saxophones. Bora adds that without the blur of monitor bleed, performers could precisely hear each other’s timing and intonation. “I wasn't prepared for how many more magnitudes of power and shades of inflection our sound now had,” he says. PGE’s success at Click has resulted in the Ensemble investing in its own stock of d:vote™ Microphones so they can be used for all future performances.